Pitching a tent under the stars and gathering around the campfire are much-loved parts of the great Australian holiday. Treasured memories of barbeques, beach cricket and catching their own food underpin camping’s appeal for many Australian adults. But are adults taking their own children camping? For an aspiring campsite owner, the numbers are encouraging: the industry generates $1 billion in annual revenue from more than 49.7 million domestic visitor nights. The camping and caravanning industry has enjoyed steady if unspectacular growth in the last few years, partly thanks to low petrol costs and downward pressure on wages – camping being the budget holiday option. New South Wales accounts for 31% of the market and almost 3.8 million trips; Queenslanders were second with 20% and 2.3 million trips, respectively. Aside from triggering the romantic childhood associations around getting back to nature, what makes the contemporary camper or caravanner choose this (usually) basic form of holiday accommodation? Facilities. Camping is no longer about roughing it. 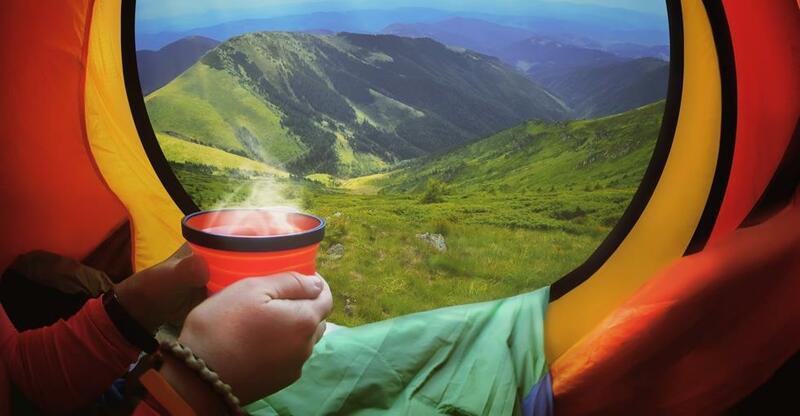 The rise of ‘glamping’ means that even people who don’t ordinarily like the tent life can be coaxed into the great outdoors with the prospect of a comfy bed and hot shower. Amenities like barbecues, fridges, hot water, urns and microwaves have become standard in high-end campsites, making glamping a viable option for people who don’t own all the gear but still want to be close to nature. Social. Like it or not, there are fewer social boundaries in camping – there are literally no walls between accommodation units, after all – making for a sociable atmosphere. Spending time with friends or making new ones is – for some – an attractive part of the deal. Environmental. Camping is the eco-friendly option. Taking no flights, warming up by the campfire and using minimal resources, the environmentally-conscious traveller can sleep easy knowing they are leaving a comparatively small carbon footprint. Economic. Surely the most important driver of all; camping is cheap. Camping is a cost-efficient way to enjoy time away with the family at a fraction of the cost of hotels or Airbnb apartments. Capitalise on these trends – by upgrading facilities, building a clubhouse, championing your eco-friendly credentials or being cost-competitive, for instance – and you can gain a real edge on your competition. Cabins are, of course, priced at higher rates than pitches, though they’ll obviously require cleaning in between each stay, while fixtures and fittings will need fixing or replacing periodically. Pitches, on the other hand, are almost maintenance free – the lawn needs mowing and that’s about it. You can specialise in one type of site or operate as a ‘tourist park’, with many accommodating all three options to attract a wider customer base. Who are the happy campers? While camping isn’t for everyone – only 13% people taking a domestic holiday decided to pitch a tent or hitch a caravan – there are some hugely positive trends for the sector. Anyone who has tried to book a last-minute camping spot over Christmas, for instance, can attest to how busy the festive period is. Young groups of friends. Digitally savvy, this segment responds well to social media marketing. Families. Looking for clean facilities, security and plenty for the kids to do. Over 55s. The widely reported ‘grey nomads’ phenomenon – where retirees commit to a life on the road – is backed up by the research. “‘Grey nomads’ are not just the product of media hype – they’re real,” said Angela Smith, group account director at Roy Morgan Research. “Indeed, folks over 50 are 42% more likely than the average Australian to have stayed in a caravan or campervan on their last domestic holiday. Catering for some or all of these customers is a good way to help your business grow. Provide for their preferences and they’ll tell their friends, family and other travellers and leave positive reviews on TripAdvisor. The sites that generate the most hype are arguably those that occupy a niche and do it well. They know who they’re targeting, take the time to understand their priorities – whether luxury, value or certain facilities – and optimise their campsite accordingly. For example, they might cater for pets better than the competition to attract animal lovers. If this guide has persuaded you to enter the sector, then here are some tips on how to buy a campsite.